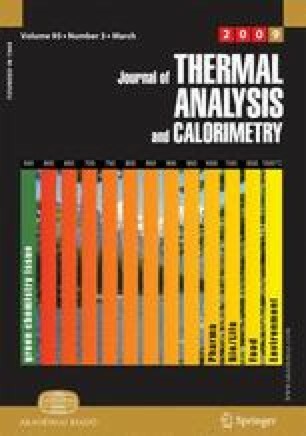 The effect of phalloidin on the thermal stability of skeletal actin filaments polymerized from ADP-binding monomers was investigated with the method of differential scanning calorimetry. Phalloidin shifted the melting temperature of the ADP-F-actin from 59.1±1.0 to 80.0±1.2°C. The stabilizing effect of phalloidin propagated cooperatively along the filament. The cooperativity factor according to the applied model was 1.07±0.11. With these measurements it was possible to demonstrate that the binding of phalloidin has lower influence on the adjacent protomers in ADP- (k=1) than in ATP-actin filaments (k=3).